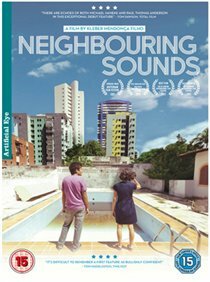 Brazilian drama centred around the residents of a middle-class neighborhood in Brazil’s coastal city of Recife. Due to the vast divide between the wealthy and the poor in Brazil the city of Recife is a hotbed of petty crime. With their privileged lives constantly under threat, the residents are perpetually on edge, creating a wall of tension between them. When a private security firm led by Clodaldo (Irandhir Santos) arrives assuring the people of their safety it only increases fears throughout the community and does nothing to diminish them.